Sea, Sand & Sky: Story Time! I am new to Save the Harbor / Save the Bay, and I could not be more excited for the adventures that this summer holds for our team. Amongst all of the stories, songs, bits of advice, and challenges from this week, one call-to-action stands out to me: try something new every day! Today, I am formally blogging for the first time! My name is Carolyn House and I am one of the 2015 Senior Harbor Educators. I studied for a year in Chile where I expanded my smile by several centimeters, and my Spanish by various chilenísmos (Chilean slang-words.) I love spending time with others, I love the ocean, and I am rock climbing and learning Portuguese in my spare time. While in Chile, I started to connect to some of my academic interests at a more personal level. I did research on climate change and water policy, and saw how fragile many of our world's water resources are. In this photo, I had just had my first cup of water right from the stream. Glacial melt is delicious, by the way, and refreshing too! In Parque Nacional Torres del Paine in the Patagonia (Chile). People need water- they need it to be clean, they need to have access to it, and they need to be able to enjoy it. I believe that this is true everywhere, from Chile to Boston. 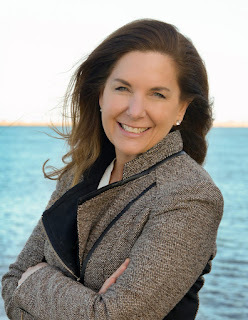 I am thrilled to be working with an incredible group of people dedicated to connecting Boston's coastline to its surrounding communities in new and engaging ways! Below is a photo from this week. I went on my very first trip to George's Island. Can you believe there was a thunderstorm just three hours before this was taken? We had a great day of orientation despite the stormy morning, of course. Just look at that beautiful beach! At George's Island for the first time! The folks at Save the Harbor/ Save the Bay have shown me how organized and effective they are. They exceed their goals because they care deeply about their work. As a new staff member, I feel warmly welcomed. Patricia Foley, our president, has met with us several times, and made sure to shake the hand of every summer staff member, from the Senior Educators to our teenage JPAs. She knows that great leadership is personal and inclusive, and has made her support and gratitude for the staff clear. She greets us with a smile and works hard to keep up with how we are doing, and I am impressed with her genuine appreciation of all of the staff. Patricia Foley is not alone in finding a personal touch- our entire staff is learning how to tell our stories so that we can connect with the kids we serve. Thursday, July 2nd, we met local storyteller and author, Norah Dooley. Soon, she had turned into Mary the Pirate- what a captivating performance! Within minutes, our tent was filled with chatter and giggles, as we all practiced our new story-telling techniques. Norah's message is unforgettable: stories matter to people. The stories that are important to us are meaningful to others, and we should share them! Norah believes that stories help us form and construct our communities, and swept us away with her instruction. Here's a picture of Norah helping us through a memory exercise where we focus on our senses, and another of her incredible performance! Norah Dooley (left) teaching us to remember what we could see, hear, smell and feel at the time of our stories. The summer is upon us and ripe with stories waiting to be told! Thank you to Save the Harbor/Save the Bay for letting me be a part of this team, and for an upbeat and energizing first week! I can't wait to harvest a beach tale, or even a sea chantey or two!